• Petition for use within the Prayers of the People. Almighty God look graciously on your Church, and guide the hearts and minds of the Diocesan Search Committee, all those who will be nominated, and the hearts and minds of those who shall choose the next bishop of this Diocese, that we may receive a faithful pastor, who will care for your people and equip us for our ministries. 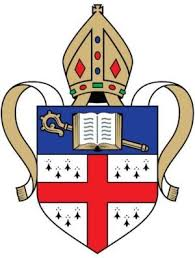 3) Litany of Discernment for the Election of a Bishop This Litany may be used on its own or as part of a public worship service, within committee groups or for individual use. The Officiant or Reader leads the petitions. Almighty and everliving God, in all ages you have raised up faithful servants to pastor and guide your holy people and to make known your will among us: increase in us the gifts of discernment and understanding that we might know and do your will as we prepare to elect a bishop for your Church. Send your Holy Spirit among us, O Lord. Open our minds, our hearts, and our eyes that we may see you and choose as you would, a new bishop of faith and godliness. Open our ears and guide our tongues that, in all our conversations and deliberations, our listening and speaking might be filled with your grace and favor. Make known to us who best will share compassion and grace to care for our clergy, churches and ourselves. Reveal to us a bishop who is filled with the Holy Spirit and who will passionately support the mission and ministries of our Diocese. Gracious and loving God, you are our guide and Good Shepherd, in you we place our hope and trust: hear the prayers of your faithful people, lead us to one mind and one heart in you, and show us that bishop who will feed and tend your flock. and by your presence along the way; and, trusting always in your goodness and mercy, seek in all things to give you honor and glory, for you are one God in Trinity of Persons and Unity of Being, to the ages of ages. Amen.